It’s hard to get away from Kanye West—he finds a way to put his hand in so many different forms of art. Kanye has a large influence on today’s music and fashion, but what about poetry? 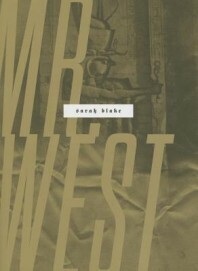 In Sarah Blake’s Mr. West, the subject is viewed from an angle that is both personal and public. Blake’s book should not be mistaken for a biography of West, as the poems in the collection have far more reach than one person. 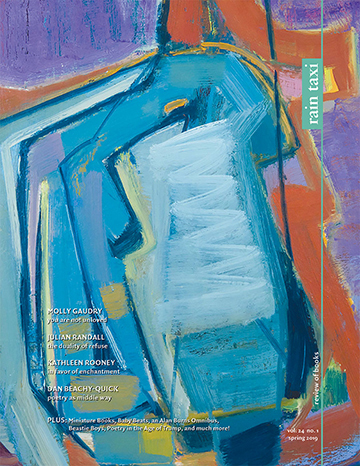 Motherhood, religion, language, and the body are all central themes in these poems. Kanye’s deceased mother Donda is discussed with empathy by the speaker, who in many of the poems is a mother to be, looking to Donda for tips on motherhood. There are a few moments where Kanye seems like a forced punchline to a poem, but the poems are at their best when the rap icon finds his way into the poems naturally. When there is a strong connection between the speaker and West, the poetry gleams as brightly as “Kanye’s Glow in the Dark tour. / It reminds me of my son’s bones, glowing white / in ultrasounds, in a more wretched darkness.” Blake’s themes of birth and race are subtly reflected in these lines. Some of the best lines in the book are spoken by Kanye, as Blake recontextualizes West’s words to fit into her poems. In a poem titled “I No Longer Have to Look Up Dates Like Your Birthday, June 8, 1977,” Blake recounts West’s thirtieth birthday inside a Louis Vuitton store. The speaker describes who is present at the party and how the cakes spell the subject’s name wrong, but the moment with the greatest wonder is Mr. West’s: “I’m in my 20s as we speak right now, but at midnight, I’ll be 30. I’m / already 30 in Japan and London and everywhere else.” These lines seem to speak to the never-ending self awareness that Kanye possesses, as well as to the self-mythologizing he has created, that we all collectively create. Mr. West is at its most interesting when the speaker takes that larger than life self-mythologizing to a quiet moment of personal secrecy. Some of Blake’s lines feel whispered: “I’m afraid I will be a horrible mother because / I am a horrible woman.” This candor is touching amidst the book’s background of Rick Ross interviews, YouTube comments, and gold teeth. Kanye is shown sympathy in the poems, but the speaker also embodies how hard it is to empathize with a celebrity one can barely see as a person. In “Jesus Walks,” named after Kanye’s early hit single, Blake’s speaker admits that there is so much distance between West and the rest of the world: “Kanye, if only I could write a poem for you and not about you.” It is difficult to relate to someone who is placed under the largest microscope, but Blake’s speaker seems far more concerned with the small microscopes put on domestic life. Her moments are a quiet contrast to the noise that surrounds West. We all have our own versions of Kanye. My parents know him as the obnoxious rapper who interrupts award shows; I see him as the innovative voice of self-belief. Sarah Blake understands Kanye West as both a human and a concept, “half cannon, half ballet. / Half canonical, half prey.” West is to be taken seriously, and so is the poet writing about him. This entry was posted in Uncategorized and tagged FALL 2015 on November 11, 2015 by Kelly.